It's never a better time to say ‘Thank You’ then right now. 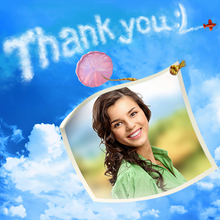 Here you can make your own ‘Thank you’ ecards to show your friends and family how much you appreciate them. It’s a marvelous tradition to make ‘Thanks You’ photo cards when you need to express your gratitude to significant people. 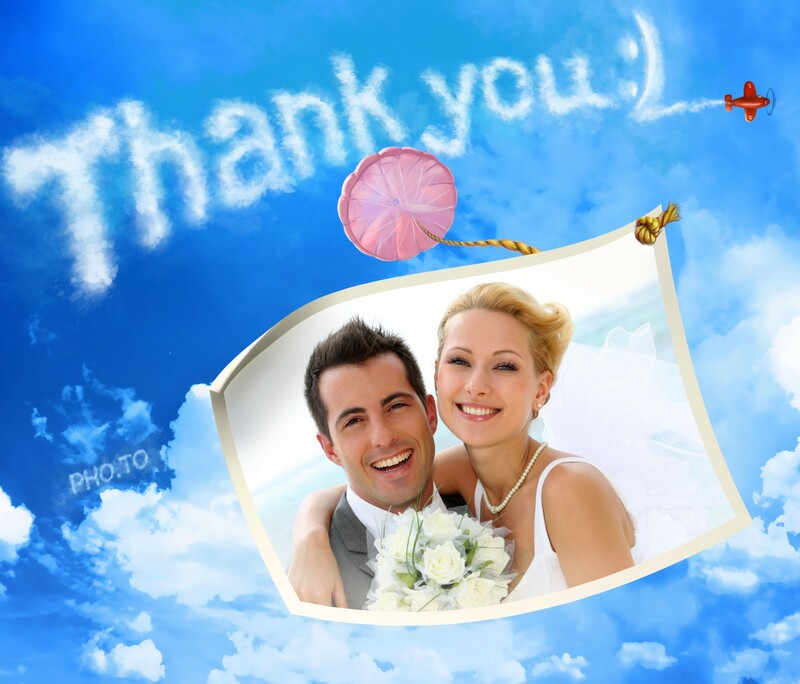 You can make your own ‘Thank you’ ecards for those who shared the happy moments of your wedding day or other important life events. It’s also a good idea to send a photo card after a baby shower to give thanks for gifts and attention. 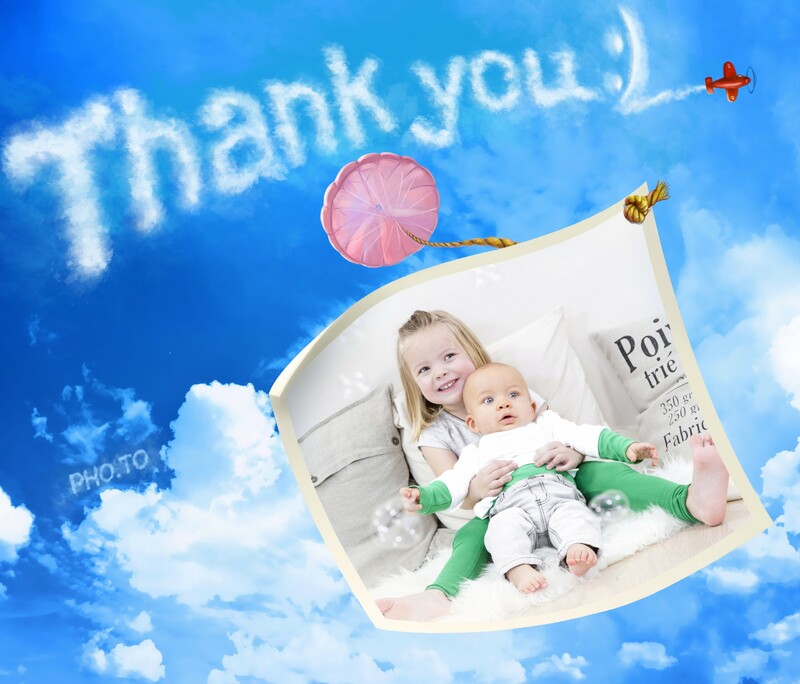 You can’t go wrong if you use our ‘Thank you’ photo frame as a part of a romantic gift. Tell your spouse how grateful you are for sharing life with him or her. 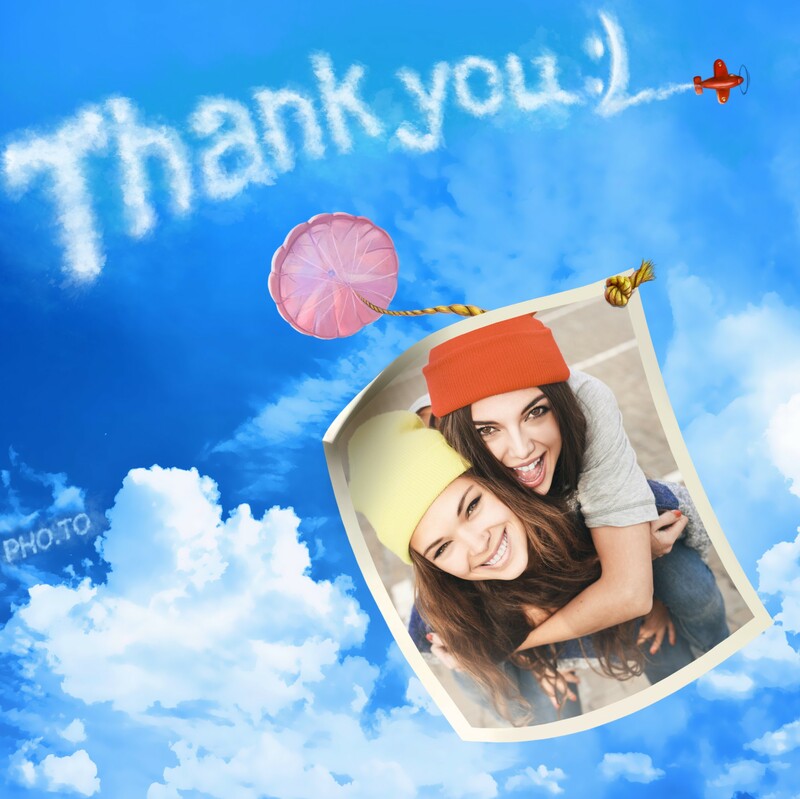 Use our ‘Thank you’ card maker to make custom printable photo cards online and for free. To add a personal touch to your card, upload photo from your own collection and top it up with words of heartfelt gratitude. You should also check our collection of greeting photo cards and ecards for any occasion. They are surely worth your attention!